It’s easy to get carried away shopping during the holidays. Many people want to get great gifts for friends and family, while also taking advantage of the great sales that retailers are offering. Due to this, many people spend too much money at the end of the year, and don’t know how to recover once the holidays are over. If you spent too much over the past few months, use these tips to pick yourself back up. First, you should assess your financial situation to see where you currently stand. 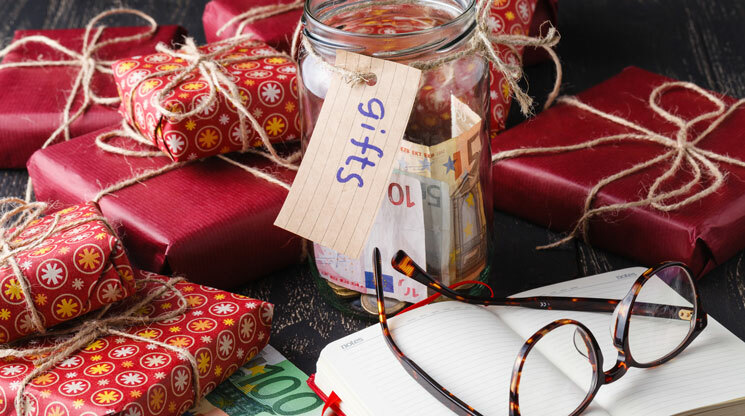 Check to see how much money you have, and review how much debt you have accumulated during the holiday shopping season. Make a note of payment dates, so you don’t forget to make your payments when they come due. Take time to review your credit score to see if it has been drastically affected by your shopping habits. With this knowledge in hand, set goals for yourself over a certain period, so you can pay off your debt. Depending on how much you bought, it can take a good amount of time to fix your financial situation, so set a plan and stick to it. One of the most important things to do is focus on bills and debt that haven’t been paid yet. Review your credit card bills and determine which ones need to be paid first. Pay off credit card bills that have the highest amount of interest first and bring your account balance down. Also, make sure that your payments are paid on time, so you don’t hurt your credit score. If you eat out a lot, consider cutting back on that while you rebuild your finances. Depending on the restaurants you visit, eating out can take a large amount out of your savings. Think about preparing your own meals at home while you work on saving money. If you go out for your lunch break, you should considering bringing your own food for a few weeks. Think about making your own coffee instead of buying it on the way to work. You could also ask your friends for recipes to try for dinner. Do you enjoy going out with friends to the theater, sporting events or other entertainment venues? To save money, it might be a smart decision to spend more time at home at the beginning of the year. Instead of going to the movies, consider inviting your friends over to watch a show or film on Netflix. You could even host a game night. Remember, you don’t have to go out on the town to have fun. If you managed to save some gift cards after the holiday season, now would be the best time to take advantage of them. Gift cards can help you pay for certain items without the need for a credit card or money. These cards serve as great buffers if you need to hold onto your money for a little while longer. Just remember that you only have a limited supply of these cards, so only use them when you absolutely need to.